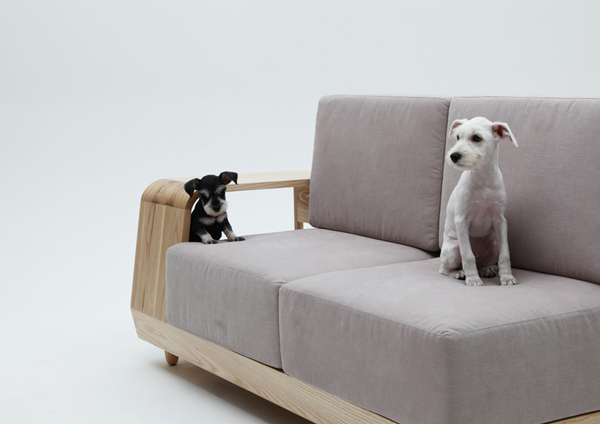 If you have a dog then this sofa will be very interesting to you. 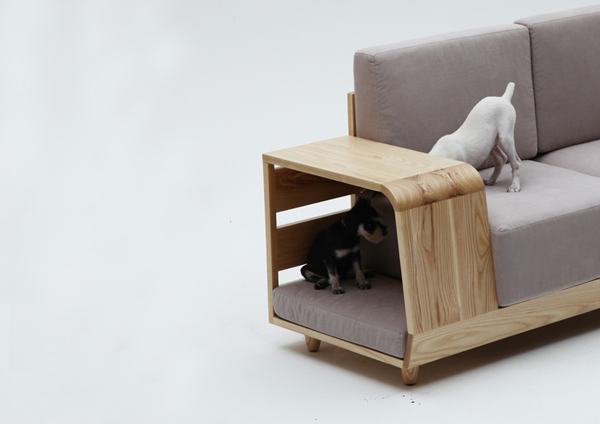 Korean designer min n mun created this “Dog House Sofa” which is a brand-new product in the 1st collection of the emotional pet furniture brand “m.pup.” “As numbers of nuclear families are increasing, pets coexisting with people are establishing themselves as companions of people. Currently in South Korea, people are raising over ten million pets. 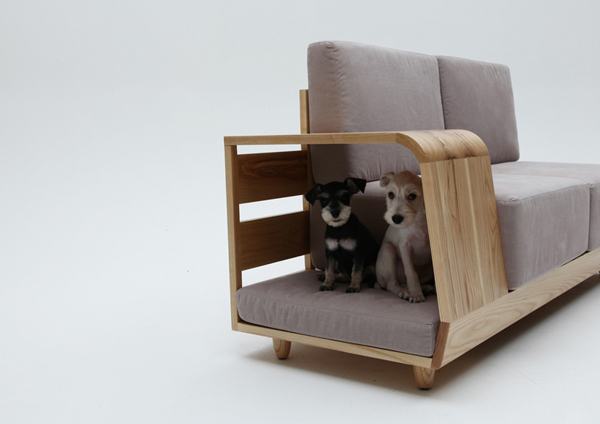 Now, the residential space is not only for humans, but also for pets. 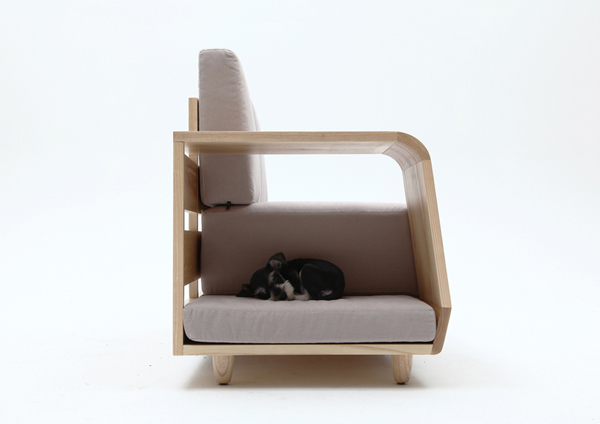 Between humans’ and pets’ residential space, “furniture” took the largest and the most important position. 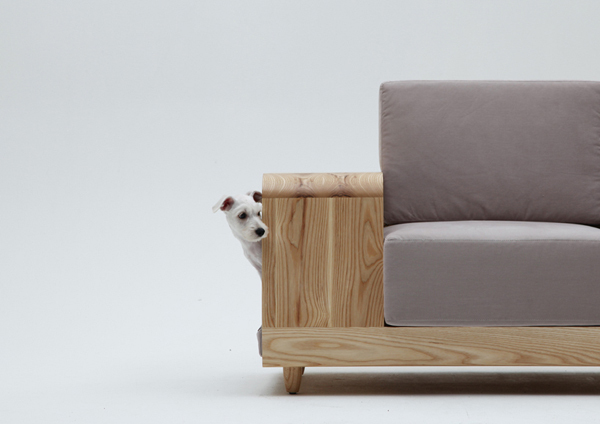 This “Dog House Sofa” is a tool to communicate and share feeling between human and pet. 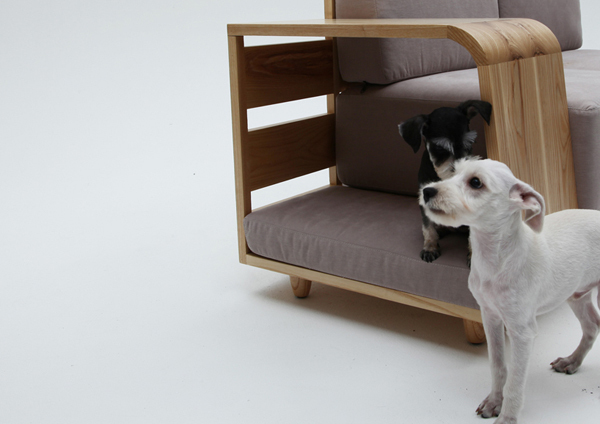 As a pet’s sight, this furniture is good enough for whetting the curiosity of pets. 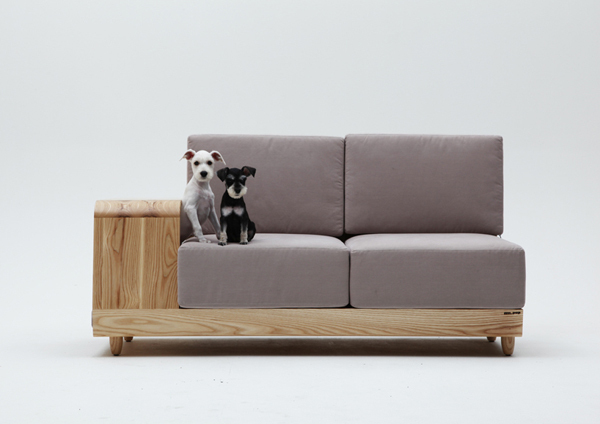 This sofa is composed of the solid wood(ash wood) and a fabric. 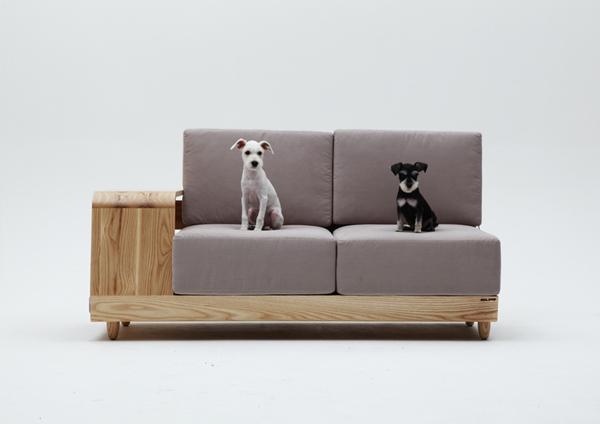 And combining the sofa and dog house deliver the new space of communication between human and pet.” Have fun!